In light of Sir John Gardner Wilkinson’s account of the hidden oasis dating from the 1830’s, in which he describes not one but two possible locations for oases by the name of ‘Zerzoora’, posing the question, who were the Zerzurians, is a tricky one right off the bat. The account from Wilkinson illuminates the jarring ambiguity involved in the identification of Zerzura as a single location due to a multitude of conflicting descriptions about the exact location, the place itself and its inhabitants. Accounts that range from descriptions of a lavish white washed city flowing with riches and guarded by black giants to a more humble natural oasis adorned with exotic species of ‘Zerzurs’ – Arabic for small bird (see King 1913), only seem to add to the convoluted nature of the debate. In fact, the multiplicity of ‘lost oases’ in the Libyan and Egyptian desert has led W.J. Harding King to assert: “Zerzura seems to be a generic name applied to any undiscovered or traditional Oasis. 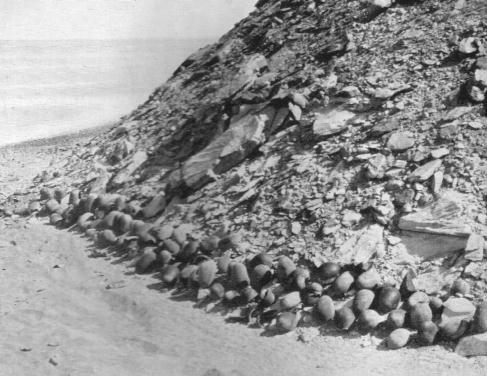 In addition to Dendura—Bholf’s Zerzura—I have heard it applied to the “Egyptian oasis,” and also to some reported ruins west of Mut” (King, 1913, p283). King concluded in the 1920’s that Zerzura was as real as the philosopher’s stone (perhaps we will find Nicolas Flamel residing at the center of Zerzura, should it ever be found!). The most remarkable aspect of local folklore and legends of Zerzura is the fragmentary nature of the myths, the majority of which originated from different areas across the region for centuries, beginning with the 13th century reference from a governor in the Fayoum that described an abandoned settlement named Zerzura. Then, the 1481, a fantastical account surfaced from a camel herder describing a rich city with a population with Aryan features and ‘straight swords’ like that of European origin. It seems as if there is no consensus amongst locals who are perhaps attributing the same designation for different places and peoples, real or imagined. So, we are back to the original question. Could Zerzurians have been pre-Egyptian Neolithic peoples from over 4,000 years ago BCE, as supported by evidence uncovered in the Gilf Kebir pictograms of animals such as Giraffes that have since ceased to reside in the area? Could they have been one of the lost tribes of Israel, or a wandering band of crusaders lost in the desert sands? Or, could they have been a predominantly black population with roots from the interior of Africa…? Interestingly, research into the region has recently uncovered connections between pre-Egyptian culture and the Chad basin. Similarities in language coupled with the evidence of the Abu Ballas trail uncovered by Bergmann in the 1990’s is cited by Thomas Schneider of UBC as evidence of crossover between the two regions. In light of these finds, it becomes more plausible to hypothesize that their could have existed a much darker population in the area at the time than previously thought, lending credence to the descriptions of ‘black guards’ residing over the city as cited in some accounts. Wilkinson’s account fits with this as he describes the “Oases of the Blacks” (Handbook for Travellers 248) that could be found deep in the desert, disguised in the Wadis that cut across the barren landscape. Wilkinson’s account is by no means fantastical, and in one respect he provides interesting insight into what may have happened to the people of Zerzura: he describes how a neighboring wadi, Gebabo, suspected to be in communication with ‘Zerzoora’, and contained a population of black peoples – many of whom had been carried off at one point or another by the Maghrebians, native inhabitants of Northwest Africa, for use as slaves. Could this be the sad yet all too common fate for the people of Zerzura? Perhaps it is the mystery of Zerzura, with all its legendary potentials and promises of riches, that, ironically, continuously fuels its unrealizability. The Book of Hidden Pearls exacts some of the more tantalizing elements of the legend in combining the symbology of the bird (the ‘Zerzur’ as the gateway to the city), the awe inspiring vision of a white walled city, riches and a sleeping King and Queen – it’s all fit for a most beguiling fairy tale! However, the promises of the Abu Ballas finds and the continuation of academic efforts may finally reveal the truth once and for all, but for now I am contented to revel in the delightful ambiguities of the Legendary Lost Oasis of Zerzura.